Lordy Laura. Who’d Have Thunk It. Well, well, well. Dame Laura Davies is going to be one of Europe’s vice-captains at next year’s Solheim Cup at Gleneagles. I confess I nearly fell over when I heard that. And I laughed. Laura, for whom everyone in golf should be thankful, for her skills, her personality, her longevity, her individuality, the sheer sense of fun she brought – and is still bringing – to a game that too often tries to take itself too seriously. The same Laura who played in 12 Solheim Cups, starting at the beginning, in 1990 at Lake Nona but who year in, year out, swore that she had no interest, ABSOLUTELY NO INTEREST WHATSOEVER, in ever being captain. Not for me, she said, not my bag. And as for being in a supporting role, as a vice-captain, dishing out bananas, nuts, sandwiches, cold towels, hand warmers, water, sympathy, advice, plasters, whatever……well, NO WAY. And now, here she is, on Catriona Matthew’s support team, alongside fellow vice-captains Suzann Pettersen and Kathryn Imrie, saying: “I’m delighted and honoured to have been asked to be vice-captain for the first time by Catriona. She sent me a text message when I was doing commentary at the Ryder Cup and I thought, ‘Ah, I wonder what this will be about’. Sure enough, she asked me if I would do it and I didn’t even have to think about it. I want to be part of the team and I hope that I can make a positive contribution and help in any way that I can. DLD, like all champions, is as stubborn as all get out, so perhaps we could do worse than put Catriona in charge of the Brexit negotiations, or similar, if similar exists, given that she obviously has diplomatic skills and persuasion of the highest order. “It really was a no brainer,” Matthew said, though she wasn’t sure that Davies would accept the offer. “I’m delighted to have Laura alongside me on the journey to Gleneagles. She is hugely respected by the players and has a great sense of humour, which will bring a bit of levity. Her experience speaks for itself. She has played in 12 Solheim Cups, on both winning teams and losing teams, she has won 87 titles around the world and been the lynchpin of the Ladies European Tour for the last 30 years. 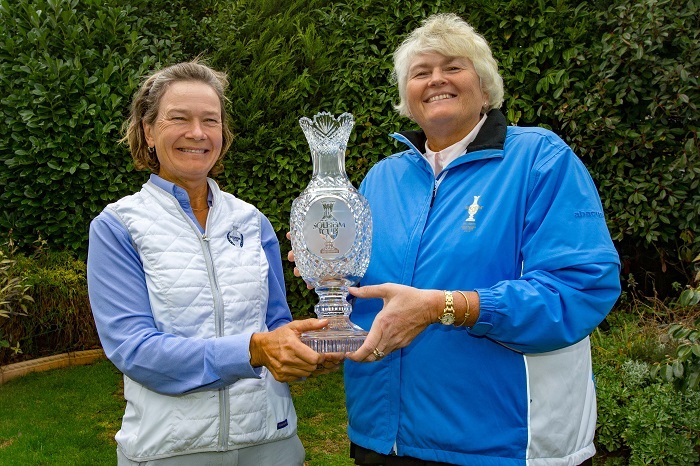 They all have quite a job on their hands as Juli Inkster, US captain for an unprecedented third time, will be leading a team intent on winning the trophy for the third time in a row. The good news is that Europe have never lost in Scotland. There was the ground-breaking, golf-shattering victory at Dalmahoy in 1992, an upset of epic proportions; then the under-water win at Loch Lomond in 2000; so the pressure is on at Gleneagles. If it’s wet, Europe should be okay. It was pretty damp and dreich at Dalmahoy, where no one noticed as Davies and her teammates tore a multi-major American team to shreds – I exaggerate a little but not by much and at this remove it’s hard to convey just what an upset it was. Foinavon anyone? (Grand National 1967, odds of 100/1.) It was in that sort of league. Loch Lomond was just ridiculous, with delays that favoured Europe in the end and a determination by both sides to finish the contest despite conditions that really required snorkels and flippers. Anyway, perhaps Laura has decided that she’d like to be Solheim Cup captain after all and has taken the first step over the sidelines, showing willing at last despite years of denial. Everyone’s entitled to change their mind. Go Laura. At the other end of the spectrum there’s Leona Maguire, who’s at the beginning of her professional career after a glittering amateur career. She just missed out on her LPGA card after a Q-School that took gruelling to another level and she and her twin sister Lisa will be having a go at the LET Qualifying School next month. 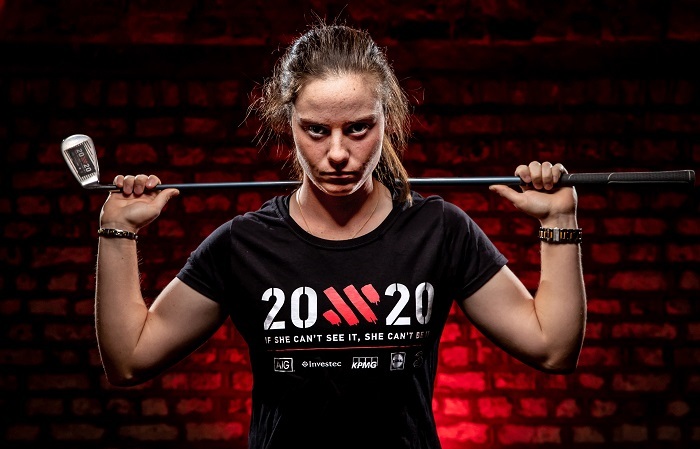 In the meantime Leona, who represented Ireland at the Rio Olympics, is a KPMG 20×20 ambassador, starring in an edgy ad campaign to promote the 20×20 initiative, which aims to have 20 per cent more media coverage for women in sport, 20 per cent more female participation in sport and 20 per cent more attendance at women’s events by 2020. I’m watching the semi-finals of the ICC Women’s World T20 cricket from Antigua (where the sainted Sir Viv Richards was one of the spectators). It was disappointing that the Windies, who’d looked dangerously good in earlier rounds, didn’t give Australia much of a game but for a while India against England was shaping up to be a much tighter affair. In the end, India didn’t have a big enough total to defend and England batted well to win by 8 wickets. I love the intensity of the players, the commitment and concentration, the different shapes and sizes, minnows like Bangladesh and Ireland playing their hearts out, former England men’s captain Nasser Hussain and former West Indies fast bowler Ian Bishop commentating and critiquing without a hint of hauteur, just enjoying the contests and the cricket. 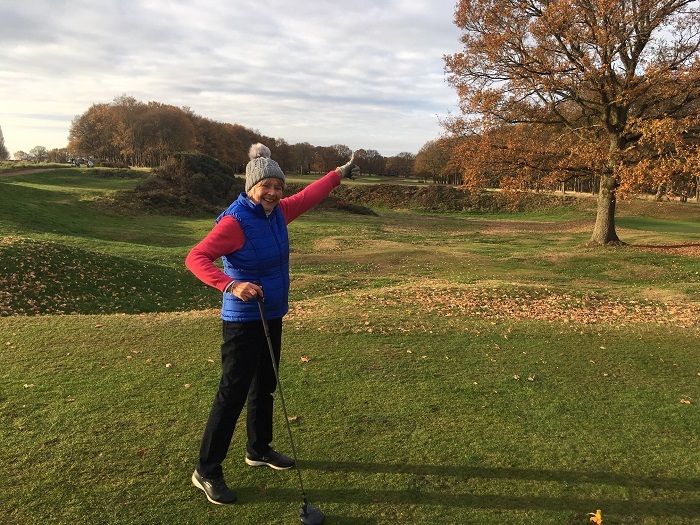 To finish, I include a picture of my mate Sue, who earlier this week sent her drive sailing over the dreaded dip at Whittington Heath’s 2nd hole. Not so long ago she despaired of ever making the carry again but Mo gave her a brief lesson, in the park, without a club and voila. Dip. What dip? Sue M triumphant. And that’s before the new driver arrives. Sport really is for all.